Used for the purpose of cutting, knurling, sanding, drilling, facing, turning, the offered Baby Lathe Machine is highly praised in the market. In addition, the offered Baby Lathe Machine is highly compact in structure and provides impeccable functioning. Owing to the raw materials used by our vendors in its manufacturing, the offered Baby Lathe Machine is quite resistant to corrosion, sturdy and has long life. 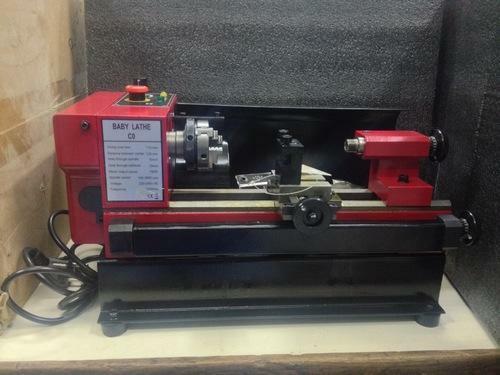 Baby Lathe Machine, complete with standard accessories like 50 mm dia. 3-jaw chuck, wrench set, oil can and electrical.